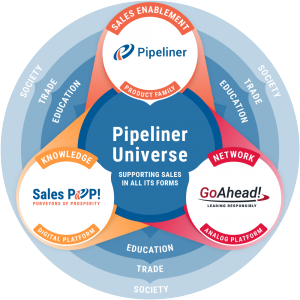 The 2nd stage of the Pipeliner Selling System is Engage. 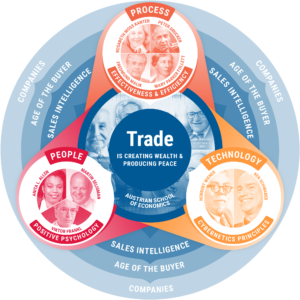 In the buyer’s journey, the buyer has moved to the Prospect stage. They are definitely interested in your offering and are checking it out further. What does “engage” mean? It means actually reaching out and touching this prospect, getting involved with their particular company and issues, and accomplishing the actions necessary to move them to the next stage toward a sale. One of the things that the empowered and savvy buyer expects today is a far more elegant level of engagement from the salesperson. Just as the buyer has researched and understood something about your company and offering, they expect you to have done research on them and understand as much as you can about them. 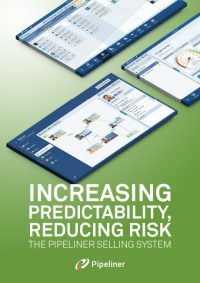 The more information about the prospect you gather, the more elegantly you can interact with them. This is why you must do everything you can to learn who your prospect is, what the company does, and something about their issues—before you engage. This way you’re not wasting time trying to get the information you should already have. If your company is like most today, you have some sort of marketing automation that tracks users as they visit your website. For your prospect, take a look at the history of those interactions. See what they checked out, what materials they downloaded (and when), what blog posts they read, what they’ve specifically been interested in. 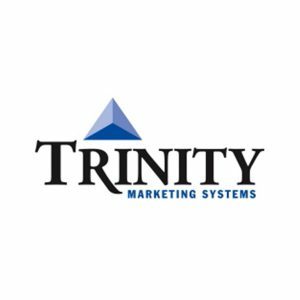 Take a look at online information about this prospect company, from their website and perhaps any articles that have been written about them. Check out their blog. What are they writing about? What kind of issues might they be dealing with, and how might your product solve them? Next, you want to dive deeper—and by that, we mean social media. Find the company, and your buyer, on various social media platforms: Twitter, LinkedIn, Quora, Facebook, and any others that are applicable. See what the buyer is saying, what the company is saying. As part of the engagement process, your company should have a set of steps, gleaned from successful sales in the past, that can be used to validate your prospect as a legitimate opportunity—or not. What are the types of information you need to validate that they are in fact someone who has some interest, who has a need that you can fulfill, who has a business issue that you can perhaps solve? These steps should be followed completely so that nothing is left to chance or guesswork. Early on as part of this process, you’ll also need to qualify your contact with this prospect company. Are they a primary buyer, or somebody doing research on behalf of another person? Are they looking on their own to solve a perceived problem? They may be an influencer rather than a decision-maker. This is important to know so you’ll then know how to proceed. By its very nature, engagement is a 2-way affair. You’re discovering who they are and how you can help them — looking for them to take their next action. This might be a live product demo. It might mean a live web conference or webinar. It might be a meeting. But it’s something that will help bring them along to the next stage of your sales process, verify that they are indeed a prospect, and confirm legitimate interest. Another crucial aspect of this level of engagement is emotional: You have to be able to communicate some level of empathy and demonstrate that you genuinely want to solve their business issues. Anything else is not a good solid engagement, and it’s not likely to move the process forward. 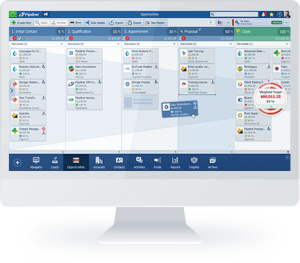 Automation is an essential part of the engagement process. You need to be able to save and rapidly retrieve all of the information that you gather: the footprints a prospect left when they visited your site; what you gleaned from researching online and through social media about them and their company; what you talk about when you’re with them; the conversations that you have; and the actions that they take that move them into the next stage. 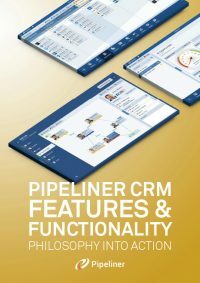 Pipeliner CRM makes it possible to view all of this information with a couple of clicks. Never again is a salesperson caught off guard if the prospect happens to unexpectedly call in or reach out, and is totally ready for the next call out. You can pick up exactly where you left off.